More than 3 Billion people worldwide have access to the World Wide Web, the Internet. Additionally, more than half of all internet traffic originated from a mobile device (such as cell phone or tablet.) No matter what your business is, you can’t ignore that many people – even if you are a local business. 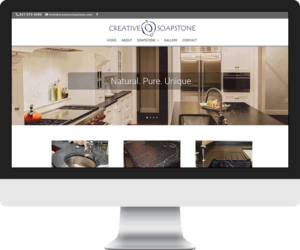 If you already have a website but it is “home-made”, having it professionally redesigned will provide your business with a professional image which will inspire even greater consumer confidence. Even businesses who are “busy” need to have a website to maintain their presence in their community and their reputation as a great business. As a small business owner, you might think you can’t afford a professional website, but you really can’t afford NOT to have one. After the cost of getting it up and running, it costs very little to keep it running and up to date. Compare it to the cost of a newspaper ad or a phone book ad, when you consider the potential market you can reach with a website, it is a very cost effective way to promote your business. Making business information available is one of the most important ways to serve your customers. At the most basic level, this means a professional looking website with easy to find, relevant information about your business. Educate your customers about your business before they contact you. You can start building the element of trust in your business on your website. A customer who calls you is an informed customer and is more likely to buy from you. Showcase your products and services with pictures and testimonials. Even businesses who are “busy” need to have a website to maintain their presence in their community and their reputation as a great business.